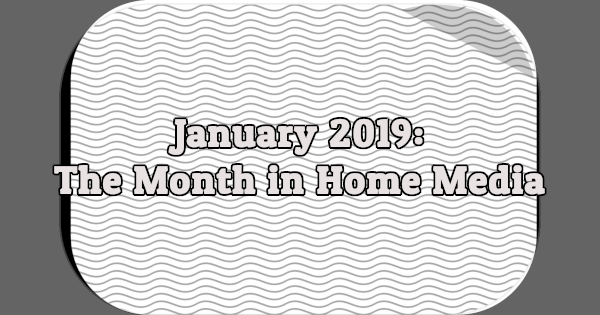 The Month in Home Media highlights short-lived or rare TV shows released on DVD or Blu-ray in the United States during the previous month. 2019 got off to a slow start last month, with no noteworthy releases. There were a handful of new titles from Alpha Video, including episodes of Clutch Cargo, One Step Beyond, and The Buster Keaton Show. Alpha Video also released the 1978 made-for-TV movie Rescue from Gilligan’s Island on DVD last month alongside The Wackiest Wagon Train in the West, a 1976 movie edited together from four episodes of Dusty’s Trail (Syndicated, 1973-1974). ClassicFlix revealed on Facebook last week plans to release Public Defender on DVD later this year. The half-hour legal drama starred Reed Hadley. It debuted on CBS in March 1954 and remained on the air until June 1955. No release date has been announced (via Home Theater Forum). Hit the comments with reviews of recently released DVD/Blu-ray sets or news about upcoming releases. Rescue From Gilligan’s Island Is a public domain title, which seems strange considering the popularity of the series. This appears to have resulted from a conflict between Warner Media who owns the series and Universal which produced the movie. Dusty’s Trail is also PD because Fox never renewed the copyright. You can actually buy a dollar DVD with both these titles! I think the DVD only has about 4 or 5 of the episodes of Dusty’s Trail. A number of the episodes are found on Archive.org. Rescue from Gilligan’s Island can also be found on The Internet Archive.